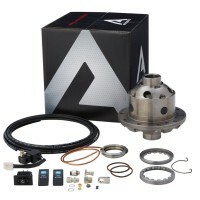 The world's most highly regarded traction aid, an ARB Air Locker is a driver controlled locking differential originally designed to give serious 4 wheelers the traction needed to combat extreme off ro.. Fits years 2005, 2006, 2007, 2008, 2009, 2010, 2011, 2012, 2013, 2014, 2015The world's most highly regarded traction aid, an ARB Air Locker is a driver controlled locking differential originally desig.. 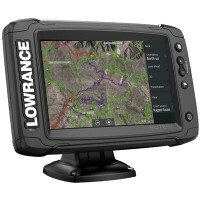 Fits years: 2005, 2006, 2007, 2008, 2009, 2010, 2011, 2012, 2013, 2014, 2015 The world's most highly regarded traction aid, an ARB Air Locker is a driver controlled locking differential originally des.. Fits years 2005, 2006, 2007, 2008, 2009, 2010, 2011, 2012, 2013, 2014, 2015, 2016, 2017, 2018The world's most highly regarded traction aid, an ARB Air Locker is a driver controlled locking differentia.. 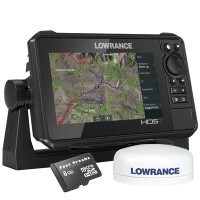 Fits years 2005, 2006, 2007, 2008, 2009, 2010, 2011, 2012, 2013, 2014, 2015 If you're looking to Titan swap your Frontier or Xterra but retain the factory R180 front differential, this is the CV Sha.. Fits years 2005, 2006, 2007, 2008, 2009, 2010, 2011, 2012, 2013, 2014, 2015, 2006, 2017, 2018 The latest in alternator technology! This alternator uses efficient hairpin .. 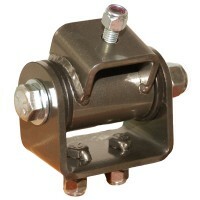 Fits years 2000, 2001, 2002, 2003, 2004 The Rugged Rocks heavy duty replacement motor mount uses a Rubber bushing and is made of 3/16" 'gunmetal grey' powder coated steel which was laser cut to perfe.. Fits years 2005, 2006, 2007, 2008, 2009, 2010, 2011, 2012, 2013, 2014, 2015Perfect for Titan Swap Applications! 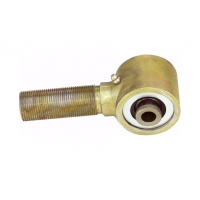 These bolt on wheel spacers are designed to give you a little more width without changi..
OFF-ROAD USE ONLYNote: Some vehicle models will require replacing the upper manifold studs to match the length of the lower ones. Part Number: NIS-14064-31U1Afits: 3.3L V6 Nissan Xterra (D22) 2000, 20.. Fits years: 1990, 1991, 1992, 1993, 1994, 1995 (WD21) These Nissan Pathfinder (WD21) headers are smog legal and cermaic coated. 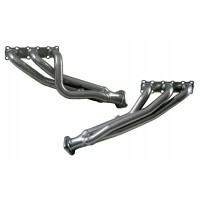 The Nissan Pathfinder (WD21) headers include all required mounting hard.. 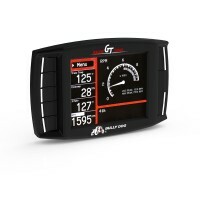 Fits years 2004, 2005, 2006, 2007, 2008, 2009, 2010, 2011, 2012, 2013, 2014, 2015Our Triple Dog Gauge Tuner (or GT) for gas vehicles is one of our top-selling products - and for good reason. The Tripl.. 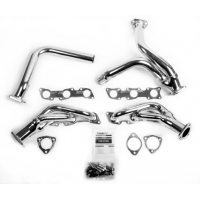 Fits years 2005, 2006, 2007, 2008, 2009, 2010, 2011, 2012, 2013, 2014, 2015Get more horsepower and better fuel mileage with these Nissan Xterra Headers from Doug Thorley!OFF-ROAD USE ONLY.. 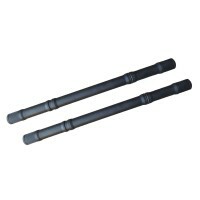 Fits years: 1999, 2000, 2001, 2002, 2003, 2004Sway-A-Way torsion bars are designed specifically for lifted trucks and SUVs that demand superior suspension performance. The bars are manufactured from a.. 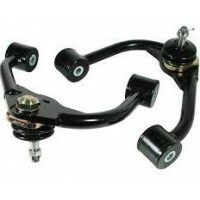 Fits years 1986 1/2, 1987, 1988, 1989, 1990, 1991, 1992, 1993, 1994, 1995, 1996, 1997 Nissan Hardbody Upper Control Arms (U.C.A.) 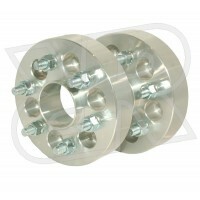 by Superlift Includes bushings and bump stops. Black powder coat. .. Fits years 2005, 2006, 2007, 2008, 2009, 2010, 2011, 2012, 2013, 2014, 2015 Improve droop travel, drivability and tire wear as well as adjusting tire position in your wheel well with SPC’s adjustable .. 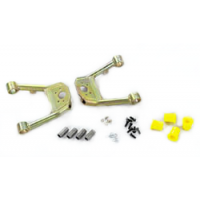 Fits years 2005, 2006, 2007, 2008, 2009, 2010, 2011, 2012, 2013, 2014, 2015These cams are designed to install in the lower control arms for camber and caster adjustment. They replace the original non-.. 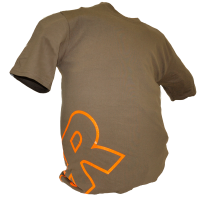 Premium quality Rugged Rocks T-Shir.. 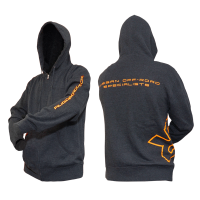 Rugged Rocks Branded Zip-Up Hoodie Sweatshirts made by Independent Trading Co. - 80% Cotton, 20% polyester.. 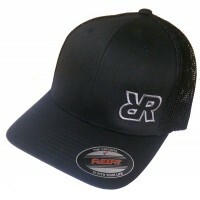 Sport your Rugged Rocks logo FlexFit 6511 hat in black. Breathable materials with a comfortable stretch fabric. Contents: 55% Polyester / 43% Cotton / 2% SpandexSizes: One size fits most (6 7/8” - 7 .. This Johnny Joint uses the standard 2 1/2" Johnny Joint housing but has chamfered edges for additional clearance. The ball in the center is narrowed for a 2 3/8" Mounting width and has a 14mm bolt.. Fits years 2005, 2006, 2007, D2008, 2009, 2010, 2011, 2012, 2013, 2014, 2015, 2006, 2017, 2018 4.363) C200K Rear Ring and Pinion Gears. 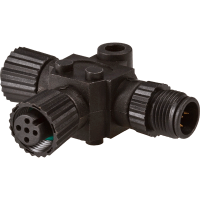 ..
T connector for use with red NMEA 2000 network, MFG# 000-0119-79. 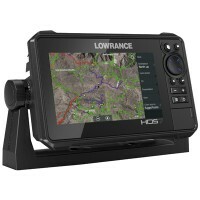 Used to add additional devices to network. 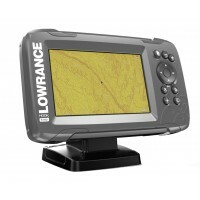 Lowrance red connectors. N2K-T-RD, Tee.. The Nissan 4x4 Parts Specialist! Rugged Rocks is a leader in pushing development of Nissan off road aftermarket performance parts through industry partnerships and original product design. If you've blown your Nissan Titan rear axle and need new gears, we offer all of the OEM gear ratios, and more! If you have a suspension lift on your Nissan Titan with oversize tires or a Nissan Xterra or Frontier with a Titan swapped front drivetrain and you're looking to regain lost power and improve gas mileage, then you've come to the right place! 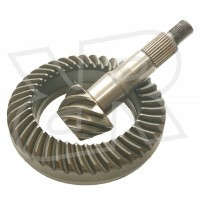 We offer Nissan Titan ring and pinion gears for both the front, M205 and rear, M226 differentials in ratios up to 4.56! 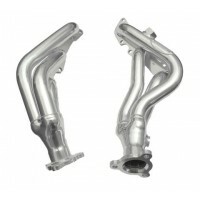 We also have Doug Thorley headers for many Nissan 4x4s such as the 3.3L V6 Xterra and Frontier as well as the 3.0L V6 Pathfinder and Hardbody. If you're serious about taking your Nissan 4x4 Pathfinder, Xterra, Frontier, or Hardbody rock crawlnig, then you'll want long travel suspension, a solid axle conversion and deep crawler gears and preferably dual transfer cases or doubler. 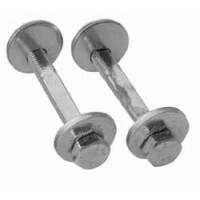 You'll also want some of our heavy duty motor mounts to keep that motor securely atached to the frame! 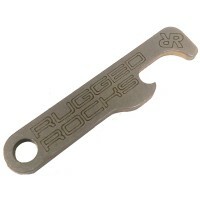 Here at Rugged Rocks, We've got your Nissan covered!